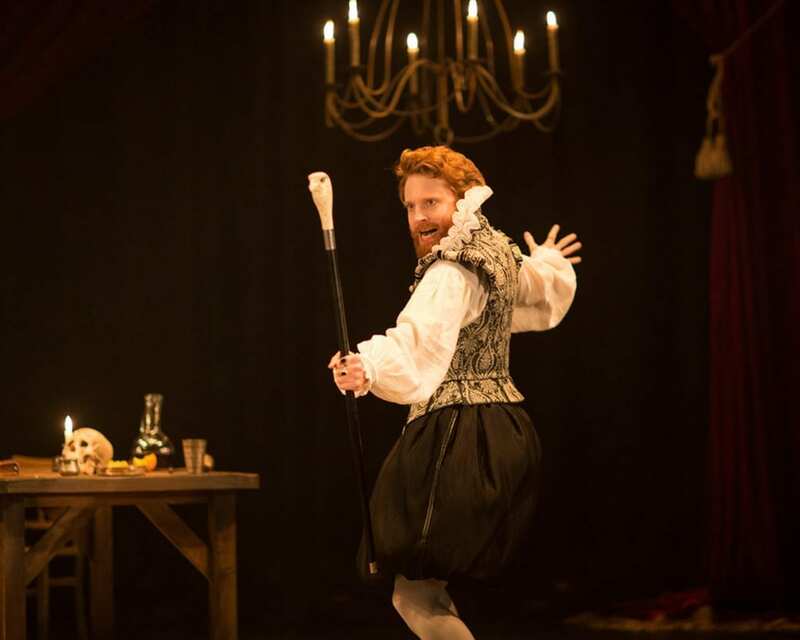 Along with Jonson’s Volpone, this is one of the peaks of comic-satiric theatre from the Jacobean era and the RSC has done us a service both in playing it again and in creating such an accessible, clear and involving production. Set in period for a change, the contemporary resonances ring out clearly. With its dark background of finding opportunities in plagues and other people’s miseries, I sometimes think that Jonson, in this play certainly, is a kind of Jacobean Evelyn Waugh in his slightly sour but utterly hilarious and recognizable sending up of various types. In this case, we have two con men and a con woman in league at the time of a plague (1610). They are able to take over a rich man’s house and set up shop because the owner has fled the plague; and the production is adept at showing with explicitly funny detail and yet utterly universal applicability just how gullible people can be because of greed and supposed self-interest. Every one of the characters preyed upon by our con men and con woman is trying to transform him or her self from a baser state to one of social and financial riches; and it is this aspiration and greed upon which our central characters can prey so hilariously. The famous speech of Sir Epicure Mammon (Ian Redford) stopped the show at the performance I attended. The Dapper of Joshua McCord, Abel Drugger of Richard Leeming and Kastril of Tom McCall were particularly notable in a fine ensemble. 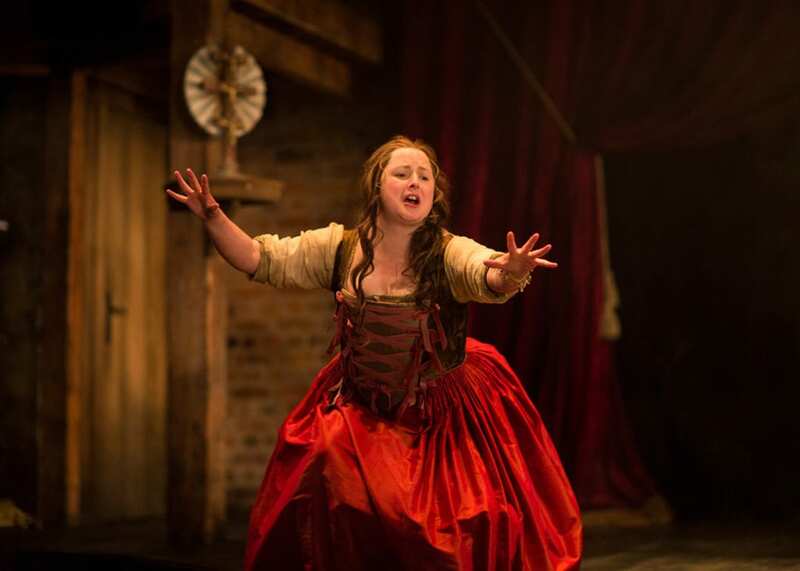 Designer Helen Godddard has certainly evoked the period and social status of the setting; and Polly Findlay, with a few judicious cuts, has kept the action going at fine speed. 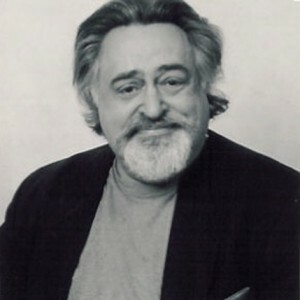 Special mention should be made of Hywel Morgan’s Lovewit, whose stolidity and power is so well-informed by his cupidity and whose character brings the play to a suitable finish. 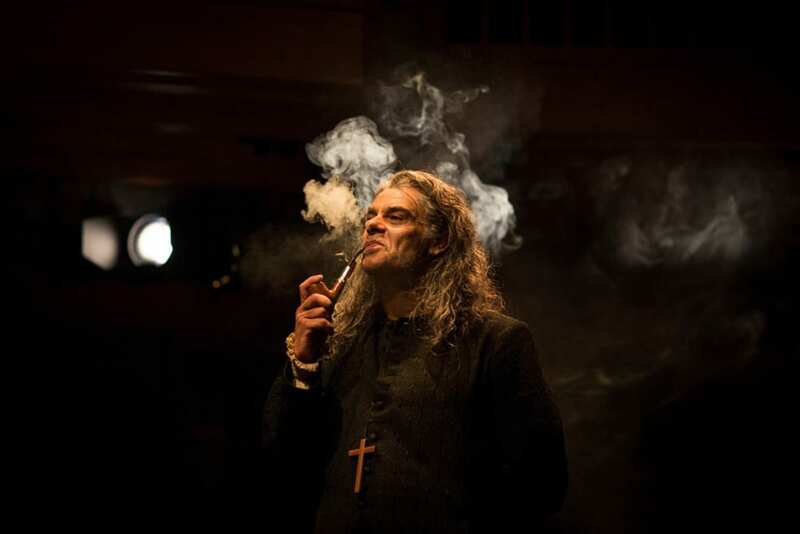 Praise must also go not only to Ken Nwosu as the perpetrator Face, Mark Lockyer as “the alchemist” Subtle; but most especially to Siobhan McSweeney for her characterful and varied turn as Dol Common. She is a British Melissa McCarthy, sweet-faced, energetic and not at all afraid of knockabout action with wonderful facial expressions that comment throughout on the action and the other characters. She is one to watch out for! Ben Jonson’s The Alchemist is in repertoire until 6 August in Stratford and then moves to the Barbican in London from 2 September to 1 October 2016.